If you have a busy life, as I do, it probably means that your free time for gardening is limited. But, that doesn’t mean you should give up on having a gorgeous flower garden blooming in your yard. 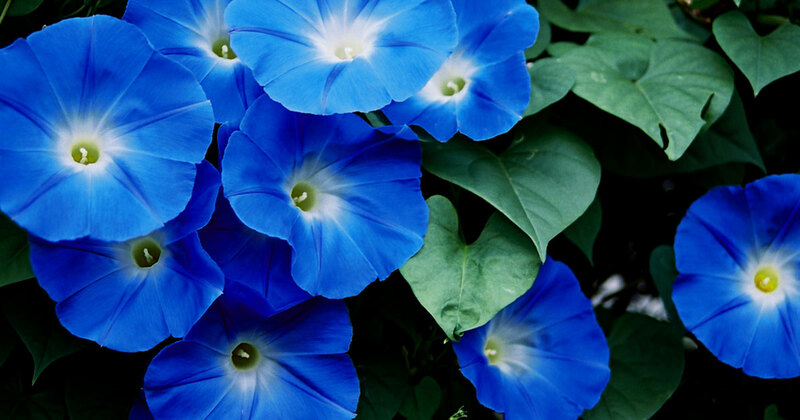 All it means is you have to choose plants that will grow quickly and don’t require much maintenance–and that’s why you should include these easy annual flowers on your “to grow” list. Of course, “easy” is a relative word. Growing them means more than just sprinkling down seeds and waiting for them to bloom. 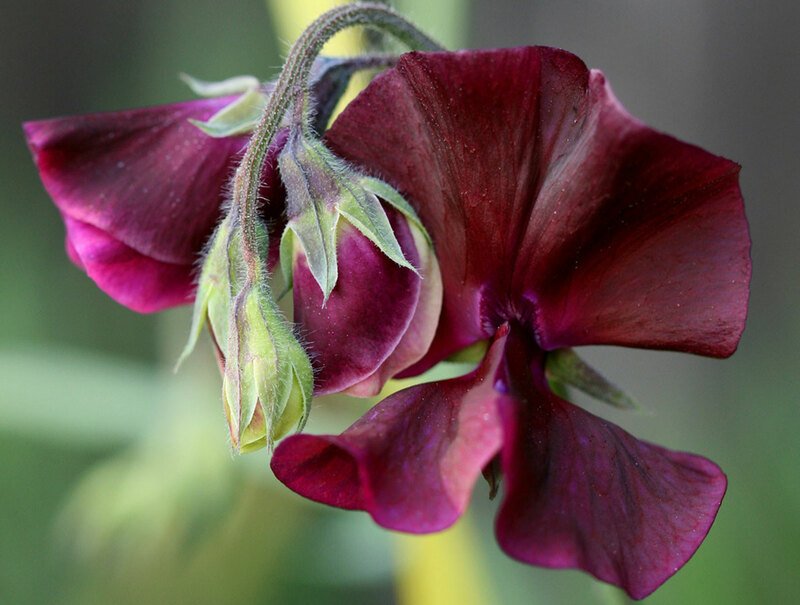 It means making sure they have the right soil; weeding around them so they have room to thrive; and deadheading them when the blooms fade, so more flower buds will emerge. It also means choosing plants that are well-adapted to your planting zone. Still, it’s definitely do-able and worth it. 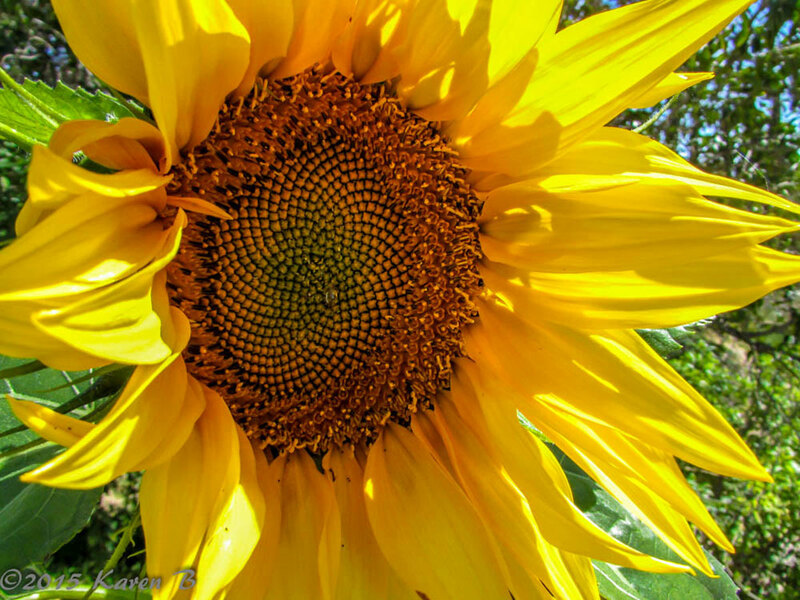 You can buy annual seeds from the best seed catalogs and gardening shops. Once you get them in get the ground and water them for the first two weeks, they often thrive on their own. Spring is usually the best time to get them in the dirt, either just before or after the last frost date. (The best timing is always listed on the seed packets and in the catalogs.) Make sure to check their maximum height so you plant taller ones at the back of your garden bed, and shorter ones in front. Then enjoy the display of colors all summer and into fall. These flowers grow very easily in even the poorest soil. They start blooming in mid-summer, then carry on for months. 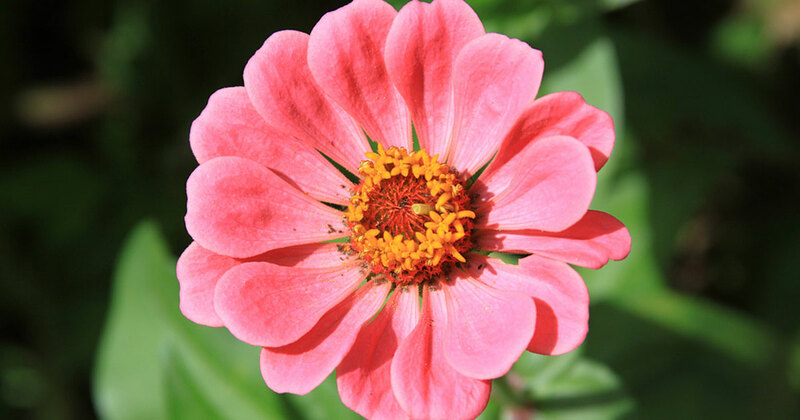 Zinnias grow so fast, and bloom in such abundance, that you can fill your house with flower bouquets all summer long. There are many different varieties, and if you’re hoping to eat the seeds make sure to buy a variety that produces large ones since not all do. When they get tall, you may need to stake them, to support the heavy flower heads. Also, when the seeds are ripening, consider placing a netting over them to prevent birds from eating them. 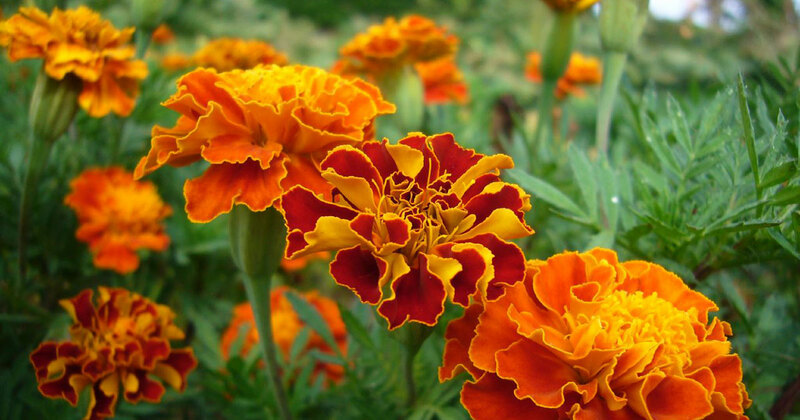 These flowers are edible and have a citrus flavor; they’re not related to Tagetes marigolds (see below) at all. 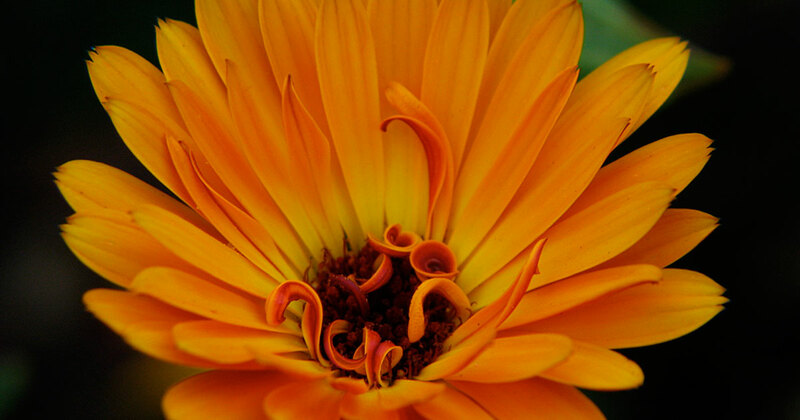 You can find single flowered Calendula and double frilled in many colors. If you pinch marigold plants when they’re young, they will grow bushier and produce more flowers. Because of their distinct, slightly pungent odor, they’re great in vegetable beds for deterring critters from eating your produce. Edible, beautiful, and super easy to grow. Nasturtiums add touches of orange, red, creamy white, and yellow to your garden bed. I think the leaves are also very pretty. They add a spicy flavor to any salad. 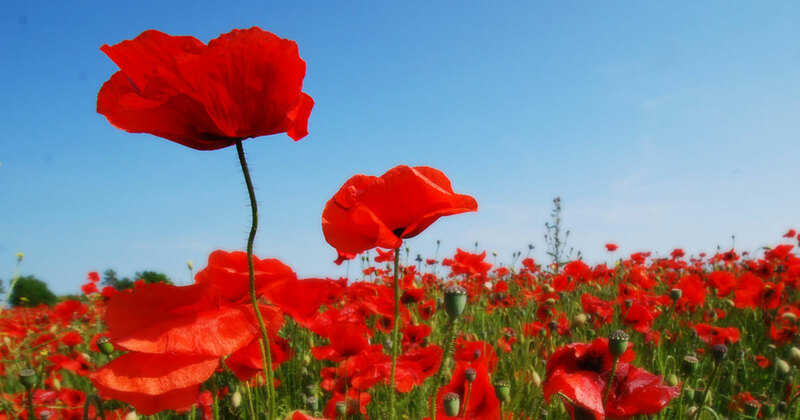 Poppies are easy to grow, but they don’t like to be transplanted once they’re growing. Because the seeds need light to germinate, you shouldn’t cover them with soil, but rather just press them down so they’re touching the dirt. Most self-seed to keep the blooms coming. These plants prefer cooler weather, so it can be hard to get abundant blooms if you live in an extremely hot, humid climate. If you do, try planting them with their feet shaded, but their heads exposed to the sun. The flowers come in many colors and are beautiful. If you have young kids, beware that the poisonous seed pods look just like edible English peas. For this reason I decided not to grow them when my kids were little, to avoid the risk of them trying to eat them. This vine grows rapidly, then explodes with color that lasts a long time. Flowers come in blues, pinks, purples, and more. Beware that they also drop tons of resilient seeds when they’re done blooming–and each seed will become a vine the following spring. I’ve resorted to only growing these in pots with trellises so they don’t overtake my garden. Also, the seeds are poisonous, so handle them with gloves on and don’t let kids get to them. 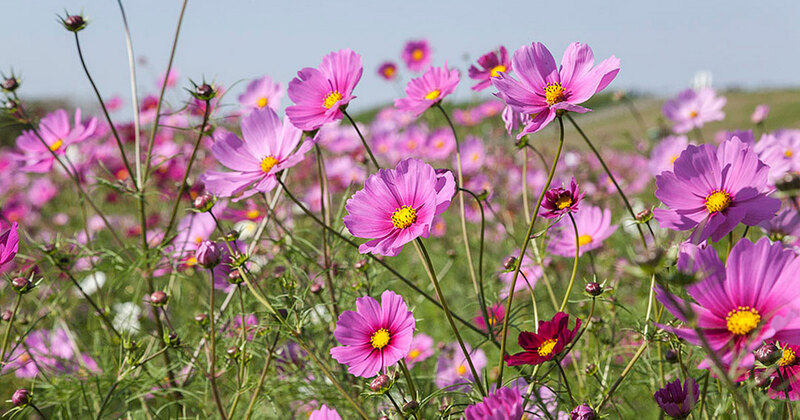 Which are your favorite easy annual flowers? Leave a comment below!